Welcome to Selah! 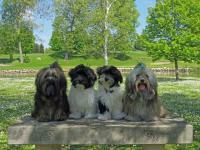 As Havanese breeders, we are a family dedicated to the preservation of the Havanese. We focus on correct structure, temperament and breed type so the Havanese can continue to thrive in it's original Cuban glory. Our goal is, and will always be, to produce beautiful, healthy, funloving companions that thrive in their new homes and are a joy to be around. 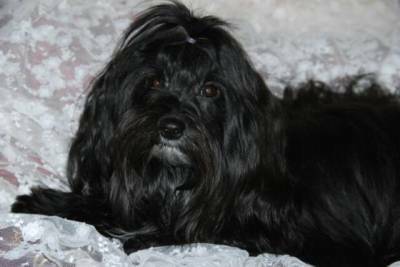 The Havanese is a friendly little dog with long silky (hypoallergenic) hair, sweet expression, loving and attentive temperament. 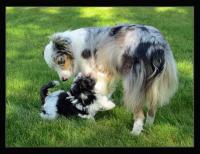 They are mild mannered companions who desire to please and be your constant companion. 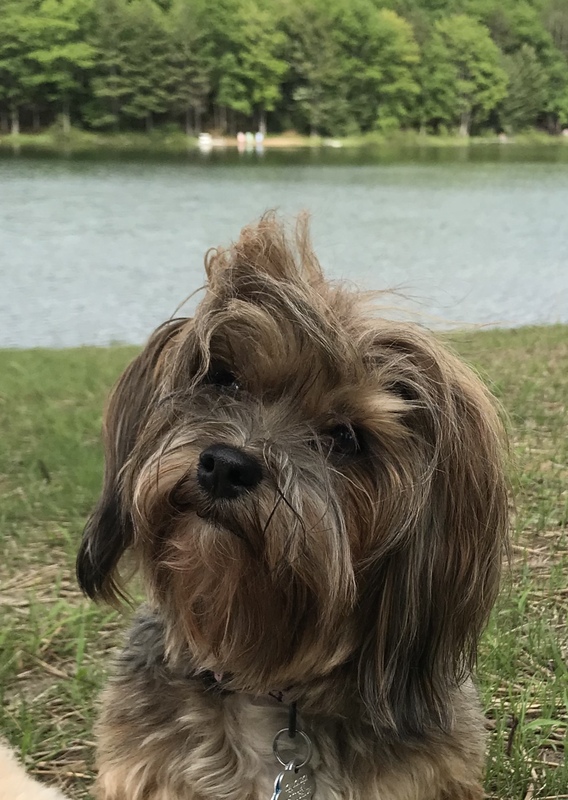 Havanese are not fragile nor stocky, rather they are a well balanced, fun-loving and intelligent breed that excels at many things from agility to obedience to therapy work. 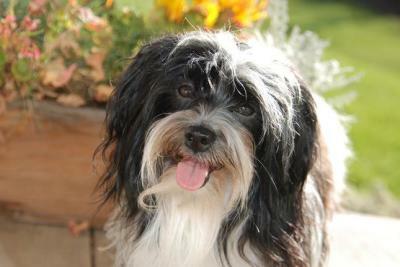 Havanese make wonderful family pets and excellent companions. At 7-13 pounds they are the perfect size to sit on your lap or travel under your seat in an airplane. January 4th I fell and broke my thigh bone. Sounds horrible, but it could have been a whole lot worse. Rally really saved my life. Like you live in the country, I was taking Rally down the drive to get the mail and fell on the ice. When I fell I dropped my cell phone and it slid down the drive, I couldn't reach the phone and Rally kept looking at me and licking my face as if to say it will be all right. I told him to go get the phone, called it the bone. He ran down the drive and retrieved it. I was able to call for an ambulance. If I didn't get the phone I could have laid there for two to three hours. It was about 15 out at the time, then Rally laid down on me to keep me warm till the ambulance arrived. I was in the hospital for about 8 days and in a rehab center for 2 weeks. I'm home now, Rally doesn't leave my side. I cannot tell you how much we love this guy. I just look at him, with joy, and cry. 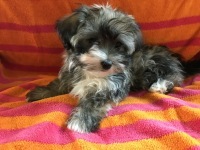 Thank you for breeding Havanese dogs, never would buy another breed. We are VERY proud of Jeeves and his owner Amelia and their work helping hurting children. Follow the link to watch the 9/10 news coverage of Jeeves and the special way he helps at work.